This is a new addition to the "Rio" range. 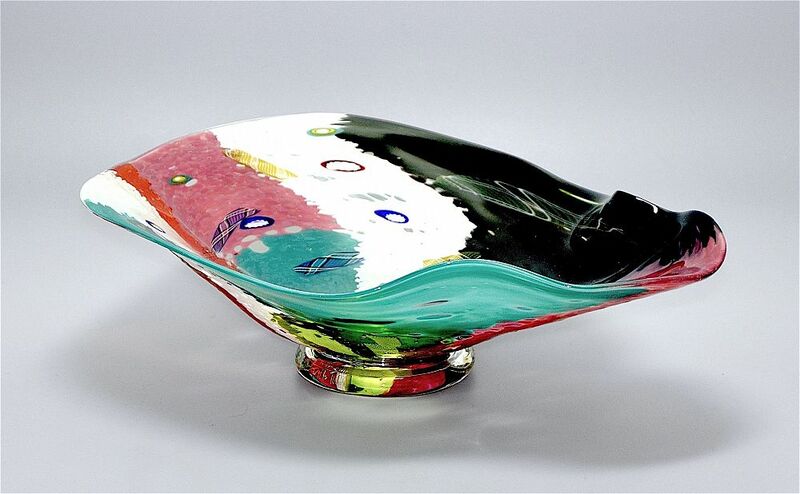 Made by Michael Hunter for Twists Glass in 2016, the round clear glass foot supports a concave irregularly shaped bowl that has a multi coloured overlay with zanfirico and murrine canes of various colour combinations laid into the glass. The underside of the foot is scratch signed "M Hunter Twists 16". It also has the Twists Glass studio label. A very distinctive and unusual piece.